This super sleek kitchen was designed by Meridien Interiors to combine ultra minimalist styling with practical functionality. 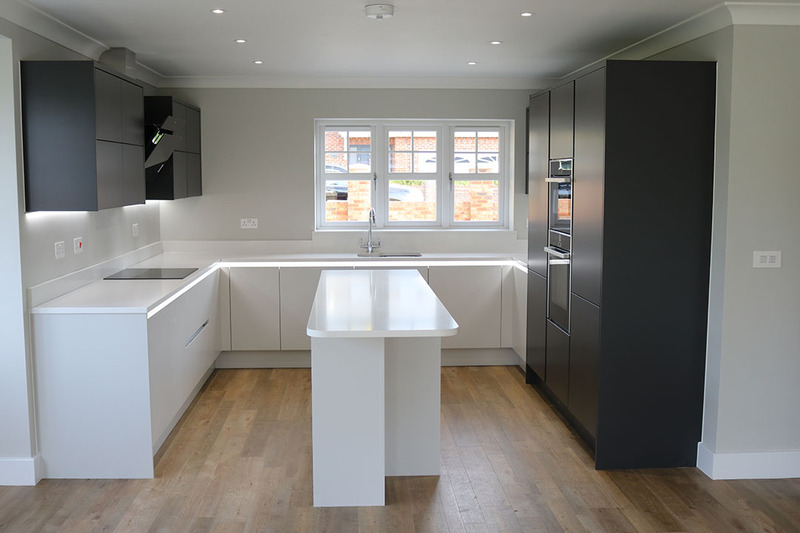 Designed for a new development of houses in Ringwood Hampshire, this kitchen, although very streamlined in design, provides significant storage and worksurface space suitable for family living. 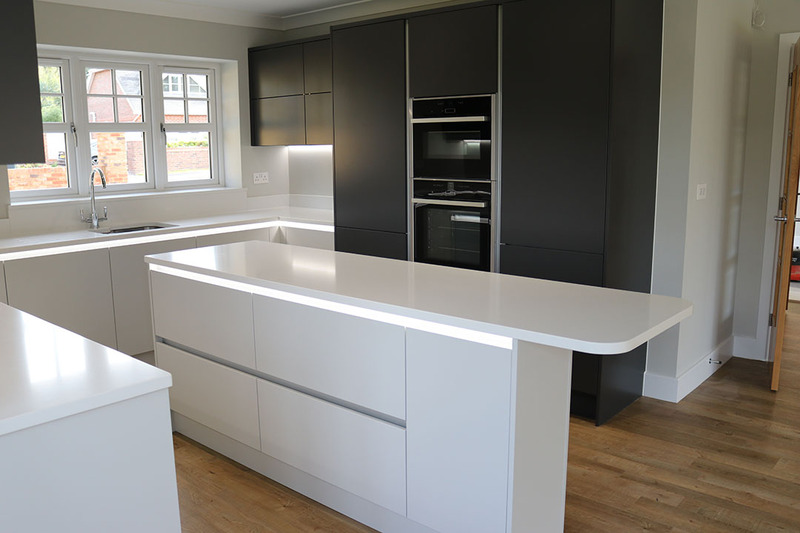 The Porter kitchen from Second Nature was the ideal choice to create a linear handleless design. 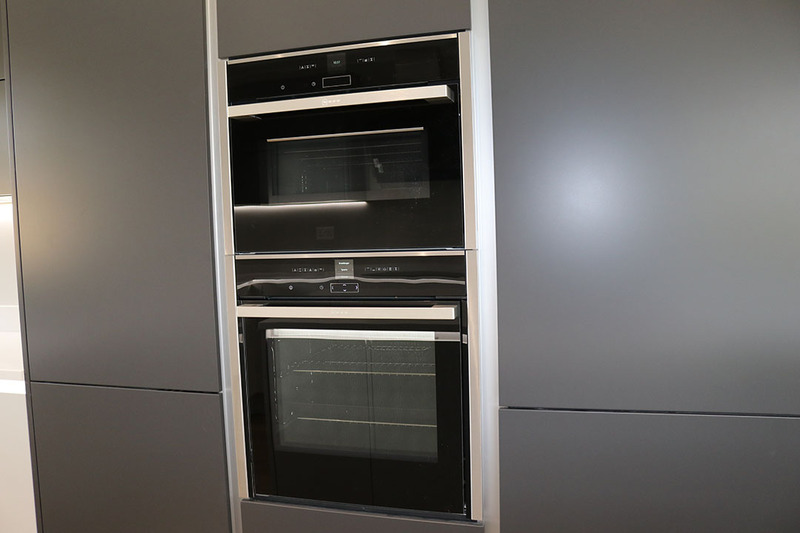 The smart rail system which allows the doors to be truly handleless with the rails attached to the carcase rather than the doors, makes this design both practical and aesthetically appealing. A monochrome colour scheme was selected for added visual impact. Matt graphite frontals on the tall bank of units and wall cupboards, are complemented by the cool dove grey base units and island. 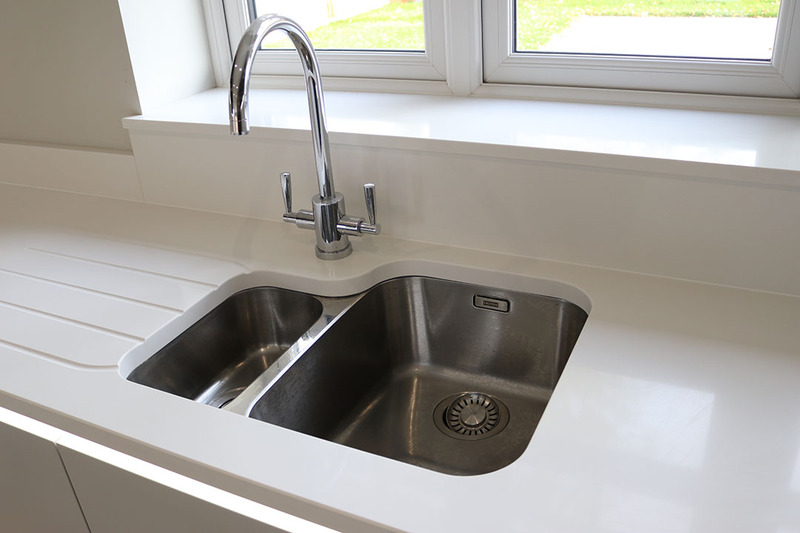 The pure white Bianco Absoluto worksurface further accentuates the minimalist style. 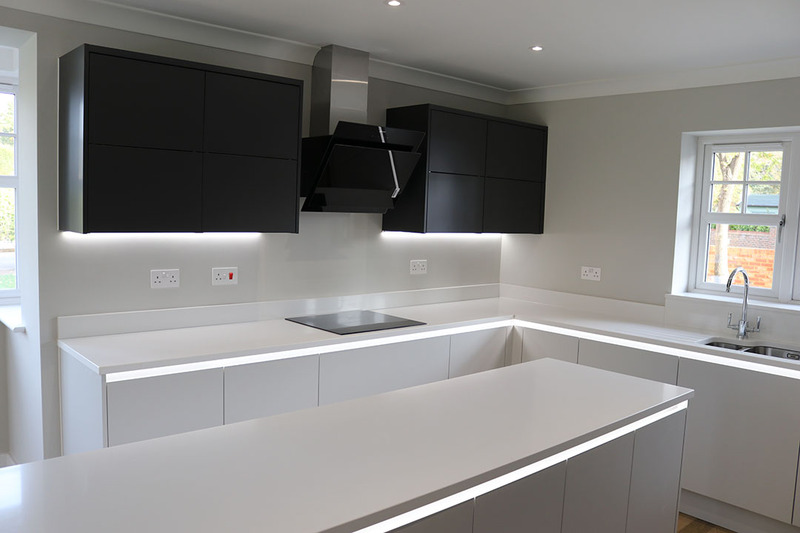 Linear lighting around the underside of the worksurfaces illuminates the recessed rails and the chamfered edges of the doors to stunning effect, while under cupboard LED lighting provides practical task lighting over the worksurfaces.